In industrial circles, the lack of accurate weight readings can result in major budgetary issues that can really strain a company’s finances and operations. Most industrial customers look to eliminate this kind of overspending and inaccurate weighing of their items by purchasing scales that are among the most accurate in the world, typically with accuracy within one-tenth of one percent. While that level of accuracy might sound impressive to the outside world, those in commercial industries know that it is often not enough when calculating the weight of major items that often weigh hundreds or thousands of pounds. When weights that heavy are being considered, even one-tenth of one percent can make a major difference. For far too long, the industry has lived with this level of accuracy as standard. Most companies producing scales have simply believed that commercial industries don’t require a more accurate reading of an item’s weight, and they’ve stopped pushing science and technology forward to create better solutions. We, however, have taken the opposite view. While other companies were forcing industrial customers to settle for accuracy within one-tenth of one percent, We were developing our patented surface acoustic wave technology, or SAW. This technology boosts the accuracy of heavy measurements to within one one-hundredth of one percent. That’s exponentially more accurate than earlier-generation strain gauge scales, and it means a significant boost in profitability for commercial industries. Strain gauge scales can be found in just about every industrial environment, and they do their job relatively well. Where they significantly lack in comparison to surface acoustic wave scales, however, is both their accuracy and durability. Just for comparison, the best strain gauge scale can measure within an accurate of one part to 10,000; when an industry-leading surface acoustic wave scale is used to make the same measurement, that scale is accurate to one part in 150,000. That’s a significant difference, and it’s one that will compound for commercial users as time goes on. Another thing worth noting is the durability of surface acoustic wave scales in comparison to their strain gauge counterparts. The typical strain gauge scale has been highly commoditized, with manufacturers looking to bring down prices in order to increase their adoption even in smaller environments outside of major commercial industries. While that might be great as far as the price tag is concerned, it has meant cutting corners when constructing the scales out of industry-leading materials. The average strain gauge scale ships with aluminum load cells. They’re considered the ultra-affordable way to manufacturer a scale in the 21st century, and they’re pretty durable. They are not, however, the most durable and long-lasting material that can be used when crafting load cells. 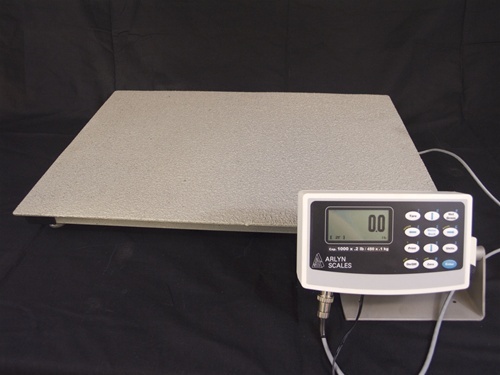 Our surface acoustic wave scales leave behind less-durable aluminum in favor of stainless steel load cells. As any commercial industry professional knows, stainless steel is appreciably more rugged and durable than either aluminum or non-stainless steel in just about any application. What About Force Resolution Scales for Commercial Customers? Those well versed in the latest scale technology are probably aware of force resolution scales that are more accurate than their strain gauge counterparts. It’s true that these scales actually produce the same amount of accuracy as SAW technology, but they offer some key drawbacks that will make them impractical for a large number of scientific and industrial customers. First and foremost, force resolution scales can be as much as three times more expensive than either surface acoustic wave scales or strain gauge scales. That virtually negates their impact on the company’s costs due to their improved accuracy when weighing heavy items. It also means a significant up-front investment that many companies simply cannot fit into their current budgets, especially during a time of economic uncertainty. It should also be noted that these force resolution scales are both less durable than SAW or strain gauge scales, and they can hold a lesser “over-limit” load than Our surface acoustic wave models. A force resolution scale can safely hold up to 150 percent of its maximum capacity in many cases, which is the same over-capacity limit touted by most strain gauge models. That might sound impressive, but it really isn’t: High-end surface acoustic wave models can safely support up to 500 percent of their rated capacity. Combined with the vastly more affordable nature of a surface acoustic wave scale when purchased from Arlyn Scales, force resolution scales become an afterthought for many commercial business owners. When it comes to purchasing a new scale, one size certainly does not fit all. That’s why we have produced two distinct lines of SAW scales for purchase by scientific or commercial customers. 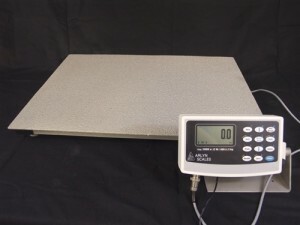 The standard “Ultra Precision” line of scales start at a maximum capacity of just ten pounds, and buyers can increase the maximum capacity to 200 pounds incrementally, as their needs require. That makes it perfect for smaller environments, and even educational or scientific uses. For big industries with much greater needs, the “ Large Ultra Precision” line provides the same commitment to choice while offering much larger capacity limits. This line of scales starts at 200 pounds, and can have its capacity increased to either 300 pounds or 500 pounds, as the customer requires. This incremental increase in capacity allows customers of all types to get the best scale for the job, with industry-leading durability and accuracy, at a price that fits into their budget. There are no compromises when it comes to SAW technology; instead, there is only a firm commitment to customer need and incremental increases of capacity and price. Choosing our Ultra Precision surface acoustic wave scale the best way to increase the accuracy of weight measurements without sacrificing affordability. With technology that costs just one-third what a force resolution scale costs, and accuracy that is up to 20 times greater than a strain gauge scale, customers who choose a SAW scale will be treated to a real win-win for their daily operations and budgetary concerns. For further information any questions, please do not hesitate to contact us.